GearBuyer has the largest selection of fleece jackets from the best brands. Watch product videos, read user reviews and learn more about recommended features for Fleece Jackets. Fleece Jackets are warm, comfortable and stylish. Our favorite feature, however, is its durability. Fleece Jackets can be used season after season, and are also good as a mid layer under a shell jacket. Kuhl Tara Fleece Jacket - A mid-layer, a light jacket, a stylish sweater or all of the above, the Kuhl Tara Fleece Jacket delivers a mixture of warmth, comfort, and versatility. Its Alfpaca® fleece is warm, soft, moisture-wicking, and fast drying. Unlike some other sweater materials, it is easy to care for, making the Kuhl Tara a low-maintenance sweater that still looks great. Polyester/acrylic blend Alfpaca® fleece is warm and durableContrast stitching creates a defined lookFlatlock seams provide next-to-skin comfortThumb loops keep wrists warm and sleeves in placeYKK zipper turns sweater into jacketFeminine contours provide a chic look. Adidas Swift Fleece Jacket - Adidas Men's Terrex Swift Fleece Jacket. Outpace the cold in the Adidas Terrex Swift Fleece Jacket, built with breathable CLIMAWARM™ to release heat-sapping sweat. Raglan sleeve construction gives your arms greater freedom of movement. Breathable CLIMAWARM™ keeps you warm and comfortable in cold weather conditions. Side-seam zip pockets with mesh lining. Full zip with stand-up collar. Raglan sleeves for freedom of movement. Draw cords on bottom hem for adjustable fit. 100% polyester polar fleece. 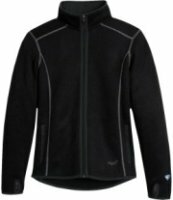 Icebreaker Sierra Fleece Jacket - Your Icebreaker Men's Sierra Fleece Jacket isn't any old fleece; it's made from 100% merino wool that's brushed for super-softness and does what only merino wool can. This wonder wool breathes to prevent overheating or clamminess, insulates for warmth, and feels soft and lightweight. It resists odors, too. And it's all natural. What other fleece can make that claim? This jacket features an internal storm flap for added protection against drafts and a secure zippered chest pocket with media port for your musical pleasure. Adidas Hiking Fleece Jacket - Adidas Men's Hiking Fleece Jacket. This piece is not only perfect for brisk athletic activities, but also serves its justice under your favorite jacket for extra insulation when you need it most. CLIMAWARM™ insulation provides thermal insulation in cold environments. Polarfleece 200. Weight: 15 oz / 424 gm.100% Polyester Plain WeaveButtery-soft microfleece is warm, breathable and quick drying with an anti-pill finishFlatlock comfort seams won't chafe skinWindproof softshellFull-zip frontZip hand pocketsMade in Viet Nam. Spyder Bandit Fleece Jacket - People won't assume you're going to rob the saloon when you walk through the swing doors, but they will appreciate your stylish apparel when you show up in the Spyder Men's Bandit Fleece Jacket. The 360-degree stretch microfleece gives you freedom to move when you run from the local sheriff or, a more likely option, trail-run in the mountains. 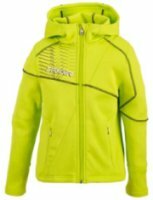 The fabric also has a smooth face that makes this jacket an ideal layer for cooler days skiing in the mountains, and the jacket's flatlock seams will help reduce that bulky feeling nobody wants while they play in powder. Spyder Damsel Fleece Jacket - It's your day off, so replace your worker's wardrobe with the Spyder Women's Damsel Fleece Jacket for a day of soft relaxation. The polyester super plush French pile fabric pretty much speaks for itself—it's super plush. Like, ridiculously plush. So plush you'll never want to take it off, even to clean it, because you're not sure you can go for an hour without wearing it. Lucky for you, this jacket has an anti-pill face so it will last through daily wear. Burton Groove Fleece Jacket - Burton Groove Fleece Jacket 2014: Highly breathable? Check. Quick-drying (unlike cotton)? Check. Lightweight warmth that s perfect for layering under a shell? Check. Style that works when wearing it as your jacket? Check. Lightweight DRYRIDE Thermex™ Grid Fleece that s 70% recycled? Check. Channels built into the backside of the fabric to increase breathable surface area? Uh you mean those channels promote airflow between my skin and the fabric for hyper efficient moisture wicking to keep me drier and warmer? Dang! Check! The Burton Groove Fleece Jacket, a year-round ruler and technical layering favorite for team riders like Mads Jonsson. 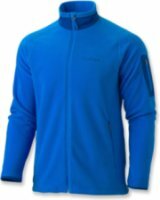 Haglofs Bungy Fleece Jacket - A soft, stretchy stand-alone piece or an easy-layering jacket, Haglofs' Bungy fleece jacket features the performance of Polartec Power Stretch Pro, a technical fleece that's designed to wick moisture, move easily and breathe freely. Flatlock seams throughout to optimize layering and prevent chafingLaminated tricot-lined wind flap behind zipperDrawcord-adjustable hemPolartec Power Stretch Pro has four-way stretch, is highly breathable, moisture wicking, and has a soft, stretchy finishOffset shoulder and side seams for maximum comfort when wearing a backpackVertical zip chest pocketMade in PortugalCannot ship to Europe, China, South Korea, Japan, Hong Kong and TaiwanBy Haglofs of SwedenThumbhole loops at cuffs. Rei Woodland Fleece Jacket - The REI Woodland fleece jacket offers everyday performance at a great price. Made from a Polartec® midweight fleece, it features refined, contemporary styling. Imported. REI Woodland jacket has an easy wearing classic fitNice touches include zip hand pockets, interior drop-in pockets and a 1-hand-adjustable drawcord hemPolartec® Classic 200 breathable fleece stays warm even when damp, dries fast and has a Durable Water Repellent finishRolled collar is soft next to skin. Spyder Strato Fleece Jacket - The Spyder Boy's Strato Fleece Jacket is a premium fleece for your little boy. 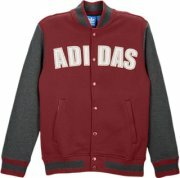 the Strato Fleece has a sporty aesthetic and custom Spyder graphics..
Adidas Fleece Varsity Jacket - adidas Originals Fleece Varsity Jacket - Men's Past meets present in this vintage-inspired adidas Originals Fleece Varsity Jacket. The classic superstar style takes a collegiate turn in this heavy 320g cotton fleece varsity jacket. It offers you a snug fit thanks to cuffed hems and features a big felt adidas patch on the chest, engineered stripes in the collar, and pockets for easy-access storage. 80% cotton/20% polyester fleece. Imported..
Marmot Garwood Fleece Jacket - FEATURES of the Marmot Men's Garwood Fleece Jacket. SPECIFICATIONS of the Marmot Men's Garwood Fleece Jacket. Softshell piecing at bottom hem, cuffs, and neck100% polyester heather fleece. Soft, comfortable, textured mid-weight performance fleeceQuick-drying fabric prevents heat loss when you're on the move. Regular fitMachine wash cold, tumble dry low. Wind Flap with Chin GuardZippered handwarmer pockets and chin guard give it a smidge of cozy comfort. Zipper secure bonded sleeve pocketCrew neckWeight 0lbs 13.9oz (394.1g). Vans Flintridge FleeceJacket - The Vans Flintridge Fleece Jacket provides you with ideal warmth and a fresh style! This jacket is a great top layer option and can go with anything you choose to throw on with it. The fleece construction and hood will protect you from brisk elements. The Vans Flintridge Fleece Jacket is just another sweet addition to your skate style and boardin’ lifestyle. 60% cotton/40% polyester. Imported..
Adidas TS Fleece Jacket - FEATURES of the Adidas Men's TS Fleece Jacket. SPECIFICATIONS of the Adidas Men's TS Fleece Jacket. Ventilation pocketsClimawarm provides thermal insulation in cold weather conditionsPolarfleece Keeps you warm in cold conditionsFlatlock Seams for higher wear comfortAdjustable Waist with draw cords. Filson Pathfinder Fleece Jacket - If the path you're trekking happens to get windy, Filson's Pathfinder fleece jacket has your back thanks to double-faced, wind-resistant microfleece. Zip chest pocket and hand pockets with welded cotton trim and brushed liningStand-up collarDouble-faced, wind-resistant microfleeceFounded in 1897 during the Great Klondike Gold Rush, Filson has spent more than a century making classic, rugged and extremely comfortable clothing for outdoor-loving individualsZip front with logo-stamped leather pullMade in China. 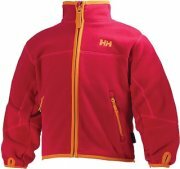 Haglofs Astro Fleece Jacket - The supersoft microfleece of Haglofs' Astro Fleece jacket enhances any activity; the low-bulk, insulating design offers a capable midlayer performance or acts as a light top layer in variable weather. Soft fleece chin guard and zipper placketButtery-soft microfleece is low bulk and insulatingFlatlock comfort seamsZip hand pocketsRaglan sleeves won't restrict movementMade in ChinaBy Haglofs of SwedenCannot ship to Europe, China, South Korea, Japan, Hong Kong and Taiwan. Jordan Fleece Jacket - Jordan Fleece Jacket - Boys' Grade School The Jordan Fleece Jacket is a classic selection worthy of His Airness himself. The microfiber fleece offers a superior level of comfort while the design is simple, yet bold. The iconic Jumpman logo is located on the chest and center back. 100% polyester. 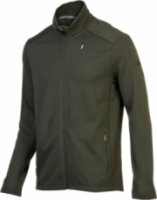 Imported..
Marmot Reactor Fleece Jacket - Marmot Reactor Fleece Jacket for Men Features. 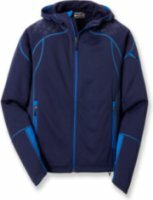 Marmot Reactor Fleece Jacket for Men. 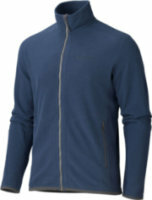 Enjoy being outdoors with this Marmot Reactor Fleece Jacket for Men. 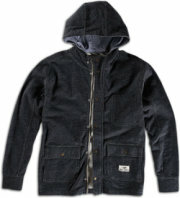 This jacket for men is made of very durable and reliable 100% fleece material, so that it lasts for a long time to come. Its design makes it lightweight, while still providing you with adequate warmth. It is an ideal item to take along with you when you go hiking, climbing, or on any other outdoor adventure, thanks to the protection that it provides from the elements. Obermeyer Identifiable Fleece Jacket - The Obermeyer Identifiable boy's fleece jacket offers a polyester/spandex blend for excellent warmth and comfortable stretch. Worn under a shell jacket, it keeps your young skier happy on the slopes. Imported. Articulated sleeve construction allows great range of motionTricot-lined pockets keep fingers warmInternal zipper windguard keeps cool breezes outCloseout. 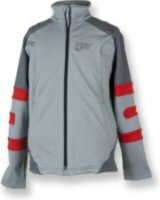 Spyder Caliper Fleece Jacket - It's almost as though the folks at Spyder designed the Women's Caliper Fleece Jacket just for your roller-derby persona: Tough Lovin'. Updated with higher pile fleece, this jacket has your back when the going gets rough, and it keeps you warm when it seems like the world gives you the cold shoulder. Super plush French pile fleece has been carefully crafted into a distinctly feminine jacket. An across-the-chest diagonal seam offers definition, and princess seams emphasize your curves; a ponytail isn't always enough to evidence gender, and your summer do of bleached spikes hasn't yet grown out. 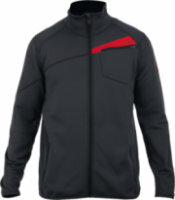 Spyder Caliper Fleece Jacket - If you want her to be warm and incredibly cozy, give her the Spyder Caliper Fleece Jacket. This is about the softest fleece you'll ever feel. The plush fabric feels silky next to skin, and helps to hold onto extra warmth. 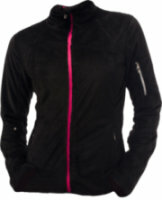 Fleece is breathable and moisture-wicking, so she can layer the Caliper Fleece under her ski jacket for extra warmth. She can also wear this as a spring and fall jacket over her regular clothes.